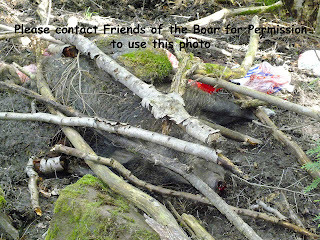 It is with regret that FotB have to announce that the Forestry Commission (FC) has once again ignored our estimation of boar numbers in the Forest of Dean, but have instead chosen to cull 100 animals between September 2012 and January 2013. They unequivocally reject any debate, carrying out their own unfounded beliefs of what should be done. We say 200 boar are present, they claim 600-650. A cull of 100 in such a rapid way may be again disastrous with respect to the future existence of boar, their health, compensatory rebound effect and amenity grass damage. 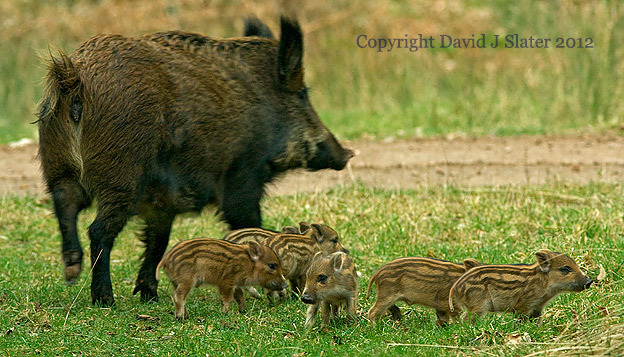 We will no doubt return to the conditions of 2009 when we witnessed a huge spurt in piglet numbers, increasing numbers of tame boar and widespread overturning of road verges and picnic sites. For your information, the FC has used the same method as us in arriving at population estimates: the FC used just 3 rangers and an anonymous independent; we used over 100 local residents including naturalists and wildlife photographers. Both surveys were carried out over the summer. The FC alleges 150 “sightings” this summer and plotted them on a map. We were shown this map at the recent Boar Scrutiny Meeting (more later), and it clearly had many duplicate sightings of the same boar groups. In fact, no other details of how these sightings were logged were given. As far as we know, the FC logs fresh diggings to count as a sighting? Whatever, we just knew the FC would come up with some ridiculously high figure, because this is what they have always done to scare the public and justify bloodshed. We learned of the FC estimate at the recent Boar Scrutiny Meeting. This was chaired by Verderer Ian Standing in late August 2012, and was the result of a year-long effort to get a wider view of boar and their management officially heard, with a view to take any findings to the Council. The Council are now to decide on a new limit to numbers of boar allowed to live in the Forest, and for the management process to be more transparent and democratically led (still to be done). The meeting involved two FC employees, Dr Martin Goulding of the British Wild Boar organisation, and Dr David J Slater of FotB (please contact via the side panel). All other interested parties were declined a hearing at the last minute by Ian Standing. The meeting concluded that boar numbers were unknown, and it was recommended to wait until the next census before making any decisions on a cull. The FC, using inadequate explanations of why last year's thermal imaging census did not provide them with the number of boar they were expecting, could only offer a better standard of thermal imaging equipment for the year ahead! So we are even more incensed at the news of a cull, because the FC was knee-jerk in dishonouring the recommendations of the meeting – it was not supportive of the cull they so desperately need / want. And will they stop at 100? 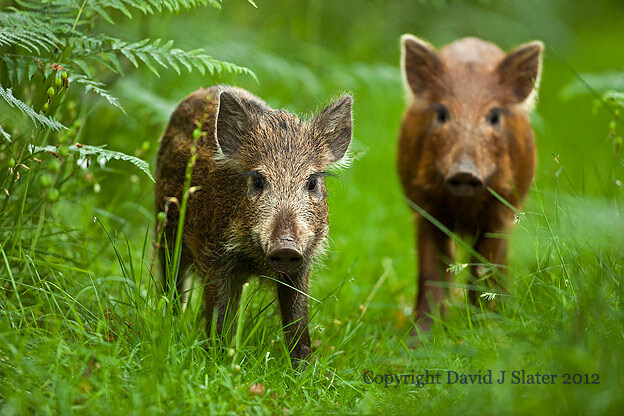 The FC has pushed this year to increase the previous acceptable number of boar in the Forest of Dean from 90 to 400. This may seem like a victory and in one sense it is, but to reduce their 650 imaginary boars down to 400 means that up to 250 animals may die! This of course is more than FotB are claiming to exist! It is now clear that the FC has called for an increase in the Forest population because they wish to argue that more boars will be born and therefore come under their gun sights. Coincidentally, this cull target would satisfy the legal agreements the FC has with meat dealers. At least three contracts existed up to October 2011 that obligated the FC to provide each with 500kg of boar meat. Now, we know that the FC sells piglets directly due to direct admissions they gave us. Since 2008 when the FC began to shoot boar, we know from the FC’s own figures that 77% of their cull has been piglets in the past. So, a cull of 100 boar would comprise 77 piglets plus 23 adults at an average of 65kg each (a typical adult weight) - or 3 contracts of 500kg each (23 x 65kg = 1,500kg). At the Council meeting last September (2011) when the FC agreed to stop culling for a year, the FC claimed that after their cull of 153 animals, 450 boar were still at large (hence their arrogance with the prediction of high number counts in their subsequent census). So this amounted to an estimate of 650 animals for late 2011. The FC duly conducted a nighttime census programme in November and December (2011) to try and achieve a more accurate number of boar in the area. Using high-tech equipment such as infra red and thermal imaging scopes they were confident that they would prove there were hundreds of boar in the Forest of Dean. However, after two months of conducting these surveys with independent witness, including FotB, they shelved it. Why? Because they only found a tiny handful of boar and were left red-faced. The only excuse they gave was bracken got in the way – in the winter! Now correct us if we are wrong, but isn't this same equipment used by the Military and Police to catch terrorists and criminals? Their current number of 650 boar conclusively means that they claim the population of boar in the Forest has not increased since the last cull. They also tell us that complaints are very much down, and everyone can see that grass damage has also been hugely decreased in the year that no killing took place (Sept 2011 – Sept 2012). In other words, the situation has improved on all counts as a direct result of no culling for a year - just as FotB has persistently predicted. So why cull 100? What possible reason can they have to kill animals that are receiving less and less complaints and are increasingly leaving the grass alone? FotB estimated at the meeting of Sept 2011 that there were approximately 100 boar present in the Forest of Dean – at the start of the year-long closed-season. (The FC claimed 450). A sow gives birth to 6 young per-year on average (in the wild) and based on a figure of 100 animals with an optimistic 50 being sexually mature sows, we would get 400 animals by the following Spring. However, piglet mortality is high, maybe 50% in some years, but taking an average of 4 young making it to adulthood per sow this gives us a total number of 300 boar for summer 2012. At the end of each summer when all the piglets are now independent, there is always a migration of boar out of the Forest. This is due to family groups breaking up to find new territory, and the number leaving the Forest is dictated by food supply and shelter. Studies have long shown that at our latitude and climate, Forests will not support more than 4 boar per square kilometre, more usually 3. At 60 square kilometres in aerial extent, our Forest will only support 180-240 boar. Always the Minority that Spoils the Peace? So this year, we expect around 100 boars to leave the Forest and wander onto private land around the Forest. These boar are always those that get the bad press each year as they move into urban areas, promoting poaching and lawful killing by landowners. We therefore predicted 200 wild boar would be in the Forest this Autumn and it is very gratifying when our census, where 100 or more people have been out and about sending us their sightings, also corroborates this number. So as you hopefully agree, if the FC takes out 100 animals from the Forest over the next 4 months, we will be left with, at most 150. And this is before anyone takes into account further natural deaths, poaching and RTA's. Research indicates that boar populations need to be much higher than this to be sustainable and to eliminate the danger of inbreeding. Friends of the Boar have set up an e-petition to stop this cull. It may be too late, as we had no warning of the cull, which is happening right now, but if we can show them that united, we are prepared to stand up for these remarkable animals it could prevent future culls, which have not been based on scientific estimations. To control wildlife numbers that have reached a point of concern can sometimes be deemed as wildlife conservation/management. However, to cull a species when its numbers cannot be proven and when there is no concern, it is murder! 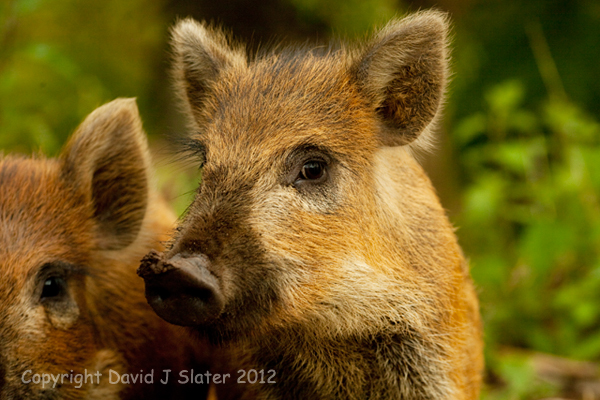 Please help give our wild boars a reprieve by signing the petition today. Please also share this petition with other wildlife groups and on your Facebook/Twitter pages. Many thanks! Since the news of the FC starting culling, and their exaggerated claims of 650 boar at large, it seems that the poachers and vigilante landowners are scurrying about the Forest and surrounding land with guns. We have been made aware of several incidents of poaching and of boys with guns roaming the public highway at night. Rest assured we give the Police as much information as possible whenever we are contacted by the rightfully alarmed public. FotB were recently offered the lower jaw bone of a boar, which was found in the forest by a member of the public (sign up to our newsletter to see it). 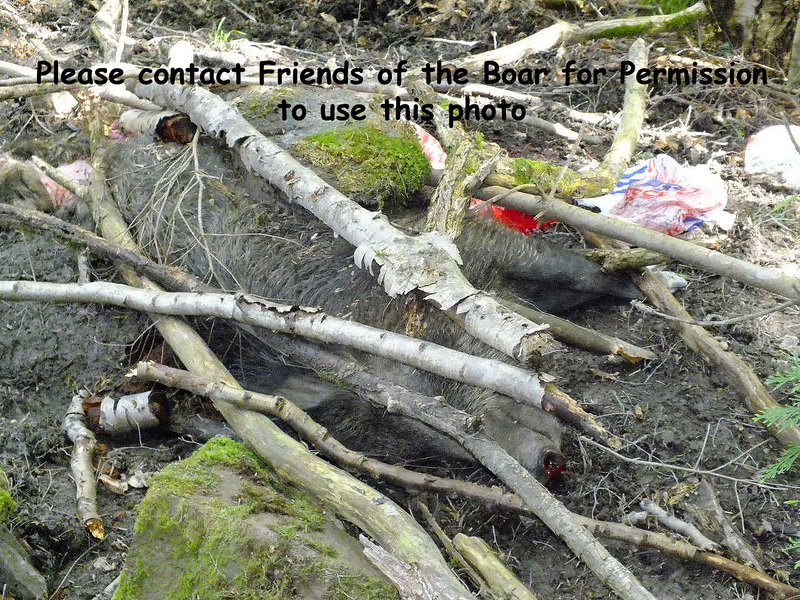 There are many reasons why this animal died in our forest and one may have been from natural causes. Other causes may be from a poacher’s poor shot, leaving the animal injured to die slowly in the forest. It may also have been injured in an RTA where it was able to make it back into the forest where again it died. Who knows how this animal perished, but this proves that these animals do indeed die in our forest and that culling should only be considered as a last resort. Finally, the plight of the wild boar and the peace of the Forest are to be shattered even further this Autumn and Winter by the Badger cull. West Gloucestershire, including land around the Forest of Dean is part of a disgusting experiment by our government to see if farmers and employed marksmen can kill badgers at night. This is obviously taken up at length in the mainstream press and by action groups such as Gloucestershire Against Badger Shooting (GABS) and Brian May’s Team Badger. What we are afraid of is that as the badger population is stressed beyond all reason they will obviously flee to the Forest as cover. Injured and potentially unhealthy badgers will begin to disrupt badger territories within the Forest. Any badgers with bTb (and these will be the badgers that survive the shooting – only the healthy badgers will roam about at night!) may begin to affect both the health of our existing badgers and the boar. Obviously, the coincidence of killing boar and badgers could very easily lead to an extremely dark future for all our wildlife. This is yet another coincidence of our government (the FC is a front organisation of DEFRA) acting in a totally indefensible and unscientific way that is truly detrimental to wildlife, and eventually to humans in due course. Please give your support to halt the badger cull and to ask any landowners you know to say no to killing on their land. The team would like to thank you all for your continued support for Friends of the Boar and for this remarkable animal. So much has happened in the last week that the blog is finding it difficult to keep up. Here is the word for word report of a crucial meeting regarding the future of the boar in the Forest of Dean. We had all agreed not to mention the content of the meeting until released to the press. Ian Standing (Verderer) asked 4 representatives to appear before him so that he could make a report based upon different viewpoints. The report shall be taken to the Council for futher consideration. It is already noted by Friends of the Boar that reference to a closed-season has been largely glossed over. Friends of the Boar and Dr Martin Goulding both commented on the value of closed-seasons, that they should be from February to June, and that last year's year-long cessation from culling has brought many benefits to both boar and people. Record of a Meeting on Forest of Dean feral wild boar. Held at Bank House Coleford, Friday 24th August 2012. Apology for absence: Rob Ward was unable to attend and nominated David Slater in his place. Rob also asked that Scott Passmore be present. Scott was asked by the Chairman to act as an observer because attendance had been limited to those originally invited. Outcome statement: MG asked about reporting and media interest. It was agreed that a draft record and statement will be circulated to all for consideration. Any media requests to be deferred until the content of the record and statement were approved by everyone. The Dean population is doing well and said to be thriving. Migration has been recorded between the Chase Hill/Penyard and Dean groups. There is also natural migration of animals from Dean into adjacent farmland and woods. 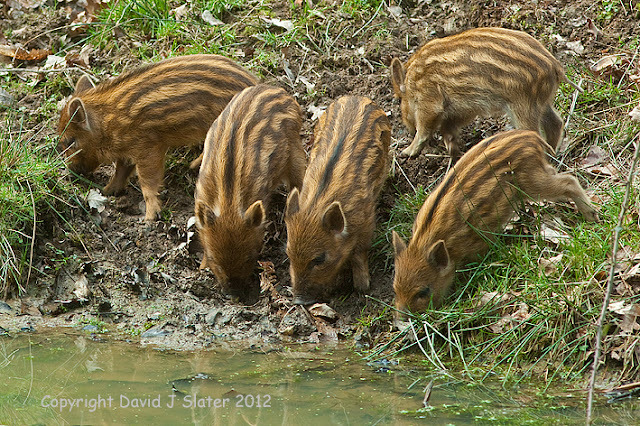 Boar are present on the Welsh side of the Wye and a new group has been reported near Leominster. The Penyard group appears to have contracted. RG explained the methodology of thermal imaging and its application to animal abundance surveys. Although the boar are less easily picked up than deer due to their lower height and the intervening ground cover, distance sampling does provide sufficient data for scientific estimations to be made, subject to a confidence factor. Thermal imaging does not produce an exact population number but successive surveys will indicate changes in populations. Thermal imaging research in Italy using radio collared, and marked wild boar demonstrated that thermal imaging and distance sampling was a reliable tool. In the UK surveys so far made by thermal imaging will not have found all the animals in the Forest but those that are located can be used in statistical analysis to determine both estimated populations and population trends.. Better equipment is becoming available and a survey in the Dean Main Block is planned for this winter. Other methods of assessing population size relied on reported sightings. 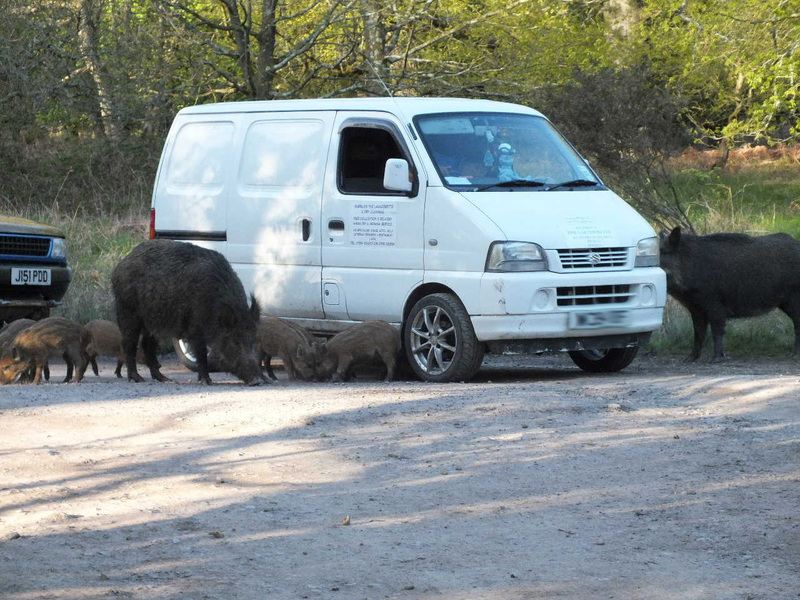 The Friends of the Wild Boar Website has enabled the public to register hundreds of sightings. FC staff are in the woods daily and record their sightings on maps. Different methods produce different estimates of the population. Negative effects of wild boar include problem animals (usually created by feeding), dog walking and horse rider encounters, and a steady increase in traffic accidents. 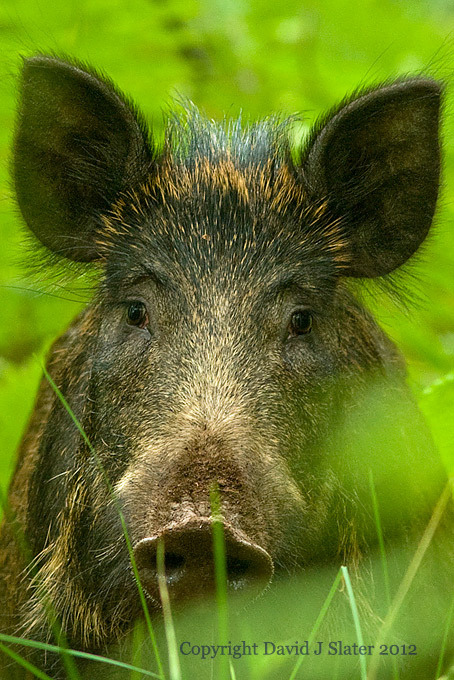 Ecologically, wild boar may have an impact on small mammal populations. There is wide range of views and reaction among the public, some of it strongly polarised. Fear, damage to roadside verges, dog encounters, road accidents and boar damage to recreational grassland and farm land bring negative reactions. This will increase if humans are injured by attack, or die in RTAs, although neither has happened. Positive support comes from those who view the wild boar as a re-introduction of a former native wild animal. Many others gain excitement and enjoyment from the presence of wild boar. The Friends of Wild Boar Website receives hundreds of positive comments and requests for advice on where to see boar. The District Council features the animal as a tourism attraction. There has been a decline in complaints reaching FC. An unpublished survey of public reaction to wild boar was undertaken in 2009-10 by Dutton & Clayton of Worcester University. A summary is included in: Feral Wild Boar Management Plan Forest of Dean, 2011 to 2016. A further study is said to be planned for 2013. Further education of the public is considered to be an important need, to reduce fear, to discourage feeding and to promote safe practice for dog walking. Following an anonymous release in 2004 of up to 60 animals near Staunton, the population increased steadily. This resulted in negative public reaction and the involvement of the District Council. In early summer of 2009 the population was estimated to be 90; that number was adopted as the target population agreed between the District Council and FC. The meeting noted that the Dean is the first substantial area of woodland in Britain used recreationally by the public to contain a sizeable number of boar. It further examined the many factors, including animal densities, poaching, and emigration that affect the size of the population and the inherent difficulty of achieving a scientifically verifiable population figure. Dean boar are not hunted but animals are known to be shot on adjacent lands..
* Doing nothing is not an option because reproductive capacity is very high. With sows producing 4 or more young each year, a 50% reduction by emigration or humane control is needed to maintain numbers at an appropriate level. * The number of animals emigrating from Dean, or culled on private land and by poachers, is unknown. * Regarding a proposed closed season between March and June. RG comments: This subject was not discussed in sufficient depth in the meeting. While I agree it is important to try to find ways of achieving humane control, the dates (and sexes) for any proposed closed season should be chosen carefully. I would advocate the collection and review of more evidence of reproductive data before a decision is taken on a closed season, as well as discussion with stalkers who may be involved. * The Forestry Commission propose raising the target population from an estimated 90 animals to 400. The majority of the group agreed that raising the target population is acceptable. MG commented that he was not comfortable with adding numbers to the population on which to base any possible culling decisions because current numbers are based only on estimates or guesswork. Scientifically reliable numbers were needed. * Different sources offer different estimates of the population size. 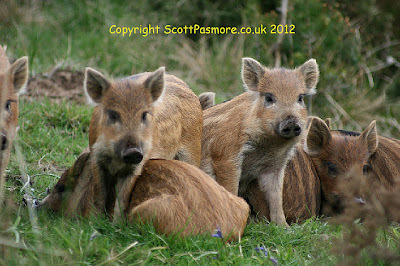 Friends of the Boar estimate 200 for August 2012. FC wildlife rangers estimate 500-600 for August 2012. * Culling targets may need reconsidering while numbers become clearer. * Transparency and sensible use of the media are to be encouraged. * Further education of the public will assist in keeping boar away from settlements and tourism venues. On closing the meeting the Chairman thanked everyone for their very helpful and expert inputs. He welcomed the positive nature of the discussion and hoped that it will continue. On 24th August a meeting was held in Coleford to discuss the present situation relating to feral wild boar in the Forest of Dean. It received contributions from expert mammal wildlife ecologists, members of the Forestry Commission and a representative of the Friends of the Wild Boar. 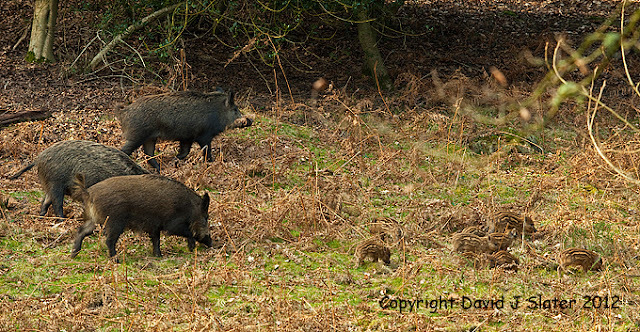 It was noted that following an anonymous release of up to 60 animals in 2004 near Staunton, the population had naturalised and numbers of boar had spread to all parts of the Forest. This led the District Council after a period of consultation to recommend to the Forestry Commission and the Verderers to agree in 2009 that a population of 90 animals would be appropriate in the Forest of Dean. Because the Forest of Dean is the first substantial area of woodland in Britain used recreationally by the public to experience a sizeable number of boar, research has been needed and is ongoing. Determining the exact number of boar in the Forest has proved to be very difficult and to date management of the boar has of necessity been based on estimated numbers. The meeting recognised the difficulty this imposes and it welcomed the new survey work planned for this winter. Doing nothing in the long term is not an option. There are no natural predators and the reproductive capacity of wild boar is very high. With sows producing 4 or more young each year, a 50% reduction by emigration or humane control is needed to maintain numbers at a stable level. The Forestry Commission has recommended increasing the target population from 90 to 400 animals. The majority of the group, agreed that the principle of raising the target population is acceptable, although one member commented that culling of the boar to target figures should only be considered once defendable, scientifically-derived population figures had been obtained. No increased target population figure was universally agreed, in part due the population figures being estimates and not exact. Different sources offer estimates of the current population ranging from 200 to 600. The meeting also favoured further education and information being made available on safety and on the importance of not feeding the boar. When boar are fed they become attracted to tourist spots and local villages, and at risk from traffic and non humane intervention. Yes, it's been some time since the last posting, primarily because the closed-season provided little controversy! In these few months we haven't rested but the opposite. Friends of the Boar has grown in stature and now boasts many hundreds if not thousands of followers and supporters. Please note that the voluntary closed-season is coming to an end. We have had a whole year without a cull - something to really celebrate! Just as we predicted earlier in the year, including on this blog, when shooting stops so does piglet production and eventually less and less "tame" boars. Hardly any newspapers have received letters of complaint or worry about the boar this year, and yes, as we predicted, road verges are no longer taking the hammering they did only one year ago. As we approach a new birth season for all the first time sows, expect a little increase in "verge activity" soon, and with it the usual moans and groans of people who only drive around forest roads, blind to the litter in the grass and the oft total destruction of forest rides by logging operations. Since our last posting about the poached sow, many people came to the wild boars support. The piglets seemed to survive well for some time, sometimes becoming roadside attractions. The group appeared to split about a month after their mother died, with one group going missing, presumed dead. But the good news is that a group of four occasionally makes an appearance, all grown up now having lost their stripes. What is more, due to the message of not to feed them eventually percolating through to most people, these piglets learnt to rely on their instincts again and stay largely away from humans. Sadly, since this poaching incident, we have noticed a conspicuous rise in "dubious" vehicles driving around the forest at night, with some vehicles even becoming stuck. They have been reported to the police and the FC, but still the activity continues. Please report any night driving activities to the police or to us please, ideally with reg numbers and descriptions of the driver. As the cull is due to commence this September and also due to pressure from FotB, the Forestry Commission and Gloucestershire county council have decided to form a wild boar liaison group. Also invited to form part of this group is a forest Verderer, FotB and Dr. Martin Goulding; the UK's leading boar expert. This is a massive step forward where this animals welfare is concerned in the Forest of Dean as there will be opinions, facts and recommendations from all sides. There will be compromises yes, but only in the animals best interests and FotB will now, for the first time have transparency where the management of this animal is concerned. FotB will not commit to or accept a cull target unless the Forestry Commission can provide accurate figures of boar numbers at present. There will be no guess work and we will be asking them for evidence as to numbers if they do come up with a realistic figure. The first meeting has been scheduled for 24th August and we will keep you updated via the website and Facebook page. FotB accept that the wild boar require management, however, what we do not accept is the fact that for many years this animal has been killed needlessly to meet the Forestry Commissions meat quotas, which has had nothing at all to do with the professional management of this animal. Like our deer, wild boar have no natural predators and for this reason we must control their numbers. Our deer are only culled when necessary and some years they are given the luxury of a year-long closed season. Wild boar are very different to our deer as they have multiple offspring, when compared to the fallow deer, which have a single fawn each year. For this reason the deer management plan will have to be adapted to suit wild boar management but FotB are confident that this is possible and we will be working hard to see this put into practise. As the majority of you are already aware, the feeding of wild boar in the Forest of Dean has become an ever increasing problem and we have been working very hard to get the message over that this extremely bad practise can and usually does end in tragedy. By feeding these animals we take away their natural fear of humans and this results in them approaching people for a free hand out. This alone can cause serious problems, especially if they approach children, the elderly and dog walkers. Poaching is also an issue in the Forest of Dean and by habituating these animals we are handing them to the poachers on a plate as the boars will frequent feeding sites regularly waiting for food. 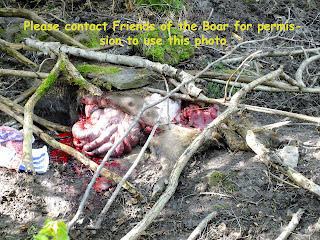 If you are wondering what harm could be caused from losing the odd boar to poachers; the answer is simple. Every year suckling and weaning piglets are orphaned after the mother is poached. The piglets then slowly starve to death as the poachers will not hold back just because the sow has young present; they are in, shoot to kill and out as quickly as possible! Please help us by getting this message over and remember, helping ONE animal will not change the world, but it WILL change the world for that one animal. On 17th January 2012, Friends of the Boar (David Slater) attended a meeting with Forest of Dean Councillors, the Forestry Commission and the local police force to chat about poaching. Five relevant crime protection officers were present and between them they insisted that poaching incidents were not on the rise. They were adamant that levels of poaching in the Forest of Dean were at usual background levels and did not seem to be different ever since the introduction of wild boar. The very same day the Telegraph newspaper reported that poaching figures were at an all time high and a crackdown was being launched. This report came on the back of a New year's Day article in the Guardian claiming that deer poaching figures had trebled and the police were accused of failing to act. In the case of deer, reports of nationwide poaching in 2008 was 71, in 2009 was 105, 2010 was 106 and in 2011 it was at 335. Christmas, the report claimed, is a traditional time for poaching activity to increase. Fortuitously, this was the precise time during which the Forestry Commission had been undertaking their own night-time census of deer and wild boar in late 2011, a census taking place over 3 nights per week for several weeks leading up to Christmas..
We asked the Forestry Commission had they detected any poaching, including warm carcasses or guts left after gralloching (gutting). The answer was not a single suspicion had been found. It also turned out that a police officer had attended some of the census as a friend of the Forestry Commission's own rangers (Simon Clement, 1256 - Officer for Rural and Environmental Issues). My local police force rubbished the national report, defending the police across the country -claiming that poaching only seemed to be on the rise due to more people reporting incidents - incidents, the police claim, often turn out to be legal shooting events by the Forestry Commission or private landowners. This is often the case in the Forest of Dean because the Forestry Commission go out on regular intervals throughout the year to shoot in the Forest (Fallow, Muntjac and Roe Deer, Boar, Squirrels). Officially, therefore, poaching in the Forest of Dean is almost non-existent. Requests by Friends of the Boar using Freedom of Information, reveals that only 5 incidents were recorded since 2004. Two events ended with just cautions, two events ended in summons to court, and one event had three individuals charged. It certainly seems that the Forest of Dean police have a remarkably easy time with poaching when compared to other forested regions of the UK. One huge problem with poaching figures collected by the police is that they do not discriminate between someone fishing without a licence and someone with a gun looking for deer or boar. We can only conclude that the police and government have no real interest in poaching. Time and again, the only statement the police will make is that they urgently require members of the public to report anything suspicious. Now, what Friends of the Boar do know, is that many incidents have been reported in the last year. On every occasion, the police are alleged to have been totally uninterested in the report. So we ask you to report anything unusual such as strong lamps in the forest, people returning to vehicles with dogs in the night, gunshots, and so on. We will see if your reports ever make it to the official recording? So is there any other way we can ascertain poaching figures? Yes, we can speak to the poachers themselves and we can ask the Forestry Commission. The former has been done with a few known poachers, and the varying degrees of evasiveness, generalisation and even exaggerated claims of the huge numbers of boar claiming to have been killed by them alone, leaves us with no firmly believable figure. Some poachers claim to have single-handedly shot 50 boar in one year on private land. We find this hard to believe simply because we can't think of how so many boar would enter a particular field so often, even with the use of bait! And of course, many private boar shooters do use bait (giving rise to artificially supported populations - see last article). How he arrives at such a poaching figure should be questioned. We for one have tried to calculate poached boar and deer numbers from poachers themselves and we would struggle to account for this many, unless of course you believe one man can attract 50 boar per year onto his land! If you do, then I am sure the Forestry Commission and police know of him! 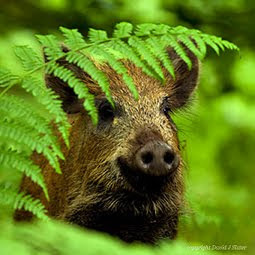 But, interestingly, we have been told about some of the private boar shoots that go on around the Forest of Dean District (one outfit near Littledean has amongst its clientele/operators both local Councillors and Queens Counsel, or QC). These are places were both legal sport shooters and illegal poachers meet and talk. And we learn that not only do Forestry Commission rangers attend these meets, they also help to organise them! This information came from the Forestry Commission themselves as well as from other independent witnesses. So perhaps the Forestry Commission know more about poaching than is comfortable for there is surely a conflict of interest here. The Forestry Commission are managers of a public forest estate with a remit, along with the Verderers, to PROTECT the venison and the vert. In the last week, there has been local newspaper reports stating that the Forestry Commission, although still with an unfinished census, are putting 2012's wild boar population at 200-250. This is a bit of a lowering to last January's unquestinable assessment! But once again, this figure is an insult to any intelligent naturalist who knows the forest. We have reports that the actual number of boar seen on the census is no more than 30, including the 16 supposedly seen in 2011 (except they weren't, they were seen on a night out with Autumnwatch using baited locations and tame boars!). For the last 4 or 5 years, the Forestry Commission has vigorously defended boar numbers that in hindsight have always been approximately TREBLE the true figure. A third of this year's 200-250 boars leaves us with a close-to-real figure of approximately 70-80, including new piglets. The surplus boars in their figure, it has now to be concluded, are the number of boar the Forestry Commission expect to be shot on organised shoots and by poachers (a figure of approximately 150-160 for 2012 - a figure that equals the Forestry Commission's own for 2011). It would seem that the number of boar outside the forest now outnumbers that within. Obviously, this is not sustainable nor natural. There is an obvious suggestion here then that organised shooters are using bait. Any landowners who do not want boar on their land may do well to criticise these organised shoots! But bait is not enough to account for such high poaching figures. There must also be an organised network of poachers / legal shooters called to private land by mobile phones, shooters ready to drop everything at a moments notice to go and shoot boar at night. The Forestry Commission need to exaggerate numbers within the forest to account not only for what they shoot within the forest but also what the organised shooters take outside of the forest - numbers that are probably passed on to Forestry Commission rangers via rumour, and between other like-minded friends. How the organised shoots get so many boar to be on land at a given time and place (people pay a lot of money to be spoon fed boar in front of their guns) is a question you should ask yourself! One potential answer to account for the unnatural success of organised shooters is the continual introduction of captive boar onto land - yes, boar released from farms on purpose for sport. Some of these tame boar will ultimately escape and find there way into the Forest and hence refuge. So, with networks operating between shooting friends, why do you think the police claims little to no poaching goes on and seem utterley disinterested in investigating poaching? We are on the verge of uncovering the truth now. Despite this, we will often read in the anti-boar or hunting propaganda, that wild boar will breed twice a year or even three times a year, giving birth to as many as twelve piglets each time! The truth is much less amazing. They usually conceive in the winter months at the end of the year, followed by a gestation period of almost 4 months long. This leads to a Springtime birth when food is becoming easier to find and the temperatures are not so cold to kill the piglets. The only exception to this is first-time mothers. They give birth in Autumn or late Summer. This is presumably to reduce competition for food in the Spring when many more piglets are born to other sows, warmer weather, and maybe helps to avoid aggressive males in heat - who may kill her piglets (accidentally or by design). Prestigious breeding figures often arise by mistakenly comparing wild boar to domestic pigs, who do have huge breeding success thanks to thousands of years of genetic tampering, hormone treatments, artificial insemination and taking piglets from mothers at an early age. With very few exceptions in the UK, the wild boar gene pool appears little affected by contamination (cross-breeding) with domestic pigs. However, low levels of genetic contamination has historically (thousands of years even!) been present in the wild boar stock due to breeding between captive wild boar and domestic pigs to select for better and leaner meat in the domestic herd, and also from accidental breeding between wild boar and domestic pigs. The offspring of either matings have also escaped into the countryside. Yet despite this, most domestic genes quickly disappear in domestic boar, presumably due to wild boar genes being dominant over most, if not all of the selectively introduced domestic traits. 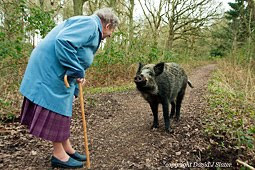 To date, no domestic characteristic has been seen in the wild boar in the Forest of Dean, except by those with vivid imaginations! DNA tests also conclude that the UK boars are no different than European boars, each having a small amount of domestic genes that may have derived from domestic stock many hundreds if not thousands of years ago. It is this cloudy issue that leads Defra to steer clear of a decision as to the wild boars genetic purity and re-acceptance back into the indigenous fauna of Britain. Furthermore, many farmers and pro-hunting lobbyists continue to feel it necessary to exaggerate sightings of wild boar x domestic pig hybrids to justify hunting the wild boar and keeping them on the list of things in the UK that is OK to hunt. The fact is that with very few exceptions, notably in Kent, any boars that looks like a pig IS a pig that most likely has escaped from a farm - and not a wild boar suddenly showing off any domestic inheritance! See the British Wild Boar website for more details on this along with photos. After a true (or near-true) wild boar gives birth, the piglets will stay with their mother for another 4 months, at least, and often for a whole year. So unless something drastic occurs such as piglets being shot or suddenly dying off by disease or predation a typical sow will not give birth to more than 7 piglets in one year. It may sometimes appear that a sow has given birth to a multitude of piglets. The truth behind such sightings is that after weaning, sows with piglets group together to form a sociable unit called a sounder. Sows will often cross-suckle, as will sows that did not have piglets that year. So, for example, 4 sows may group into a sounder of 24 piglets plus four adults. If one or more adults die, it may appear that the remaining sows are prestigious breeders, but this is not so. 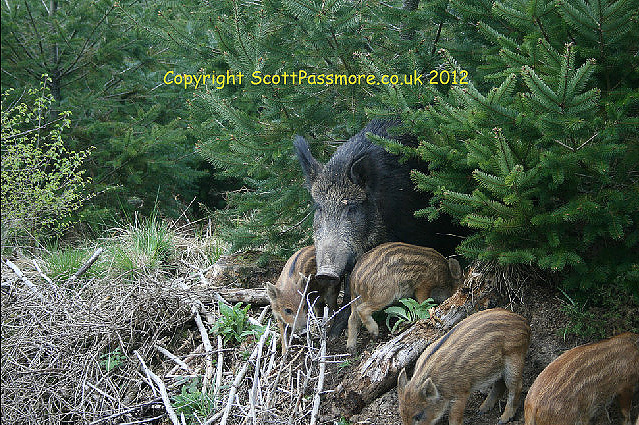 A sow with 7 piglets seen on 1st March 2012. Appearances can be deceptive. This is actually part of a 4 adult sounder with 22 piglets. This sow had either 5 or 6 piglets. It is often speculated that if wild boar are not controlled by hunting, their population will grow and grow. This has two conclusions: either the boars compete with themselves for food, leading to starvation and suffering of the less able to forage or protect territory; Or the excess boars move out of the Forest onto adjacent farmland. One gets reported as cruel (rather than natural selection! ), the other unfair on farmers. Limits to population growth are food and shelter, just as it is with humans. For both species, hunting (or war) can reduce or limit populations in the short term, but there comes a point when population rebounds to recover back to the starting position, and commonly back to the future! This is called population rebound or the compensatory rebound effect. Humans call it baby booms, conservationists call it sustainability, hunters call it business or fun. The well-publicised scaremongering that the human population is increasing is because the food supply of humans is still plentiful (if somewhat immorally distributed!!). More food and easy supply means more humans can breed until the "natural" carrying capacity of their environment is met. Furthermore, we now know that war does not solve over-population (if that is how you see human population and how to solve it!) but as just mentioned, may in fact make it increase! So without war on the boars, the limits to growth are food and shelter. Boars are not fussy eaters which has certainly helped them to survive. Availability of food is cyclical and weather dependent, and as the seasons progress we see that the boar often change their diet. This is a great survival strategy and one that has helped us humans too! In this situation, population biologists often say that populations are "density-dependent" rathar than at the mercy of predator success. It is therefore not valid to suggest that lack of predators is a reason why we need to shoot the boar! Repeat - boar numbers are not controlled by predators in any "natural" system. The density referred to is boars per unit area. Studies of calorific content, foragability, etc for the woodlands here and abroad are not easy to evaluate for boars, so we can only be unhelpfully general on this, but density-dependence DOES seems well-established across Europe. The statutory Forest of Dean is 15,000 acres, or 60 square kilometres (60km2), in area (figure quoted by the Deputy Surveyor in January 2012). Quoting from several scientific studies across Europe, the highest densities of boar is 10 / km2 when artificial feeding supplements the natural diet. North European latitudes such as Sweden have 0.1-2 / km2, south European latitudes such as Spain have 5-8 / km2, whereas mid-European latitudes such as Germany and France have densities of 3-4 boar / km2 (Melis et al, 2006; Spitz, 1986; Andrzejewski & Jezierski, 1978). Using this data, the Forest of Dean may support 180-240 wild boar. If there is artificial feeding, this number may rise dramatically to 600 boars. Density-dependence also involves shelter from the cold. Wild boar prefer to shelter in dense conifer forests. Deciduous forest is the usual source of their food. Obviously food and shelter co-operate in density-dependent populations, so if food was a constant, the population would be at the vagaries of shelter / climate. This is seen in the latitude - boar density relationship given in the above research. This relationship would suggest that food is indeed more or less constant across Europe, or at least less relevent to survival than is shelter. Across Europe, coniferous woodland is the dominant cover, and even in the deciduous areas, ground cover is often thick. This contrasts with the Forest of Dean and many UK woodlands where the deciduous understory is often thin and a poor insulator. Furthermore, conifer stands are routinely felled in the UK creating disturbance for the boar and a constant pressure upon them to find shelter. The Forest of Dean, along with the New Forest is one of the greatest areas in the UK for deciduous cover. Approximately half of the tree cover here is deciduous. This leaves proportionately far less shelter in the UK compared to European forests. We cannot find data to give any relationship between shelter and boar density (please let us know if you do), but it seems very likely that the UK will have less shelter than a European forest at similar latitude (climate / temperature) and size to the Forest of Dean or indeed many UK woodlands. photographed on 2nd March 2012. So, without a war on the boar, the Forest of Dean would be safe haven for 180-240 wild boar at the most. So how quickly would the population exceed this number thus forcing wild boar out of the Forest onto farmland in search of food? This depends on the birth /death rate of wild boar. Again, too few studies leave us in the dark, but a recent event does give some idea. The family of 4 sows and 22 piglets in the photos shown here were very quickly reduced. Within one week, piglets numbers went from 22 to 11, a 50% reduction within a few days of birth! A sounder of Wild Boar with 4 sows (1 out of shot) and 11 piglets. One week earlier, the piglets numbered 22. We have been promised by the Forestry Commission that they are not shooting the boars, and it seems unlikely that poachers will be operative in the area of this family. So it seems reasonable to imply that the natural boar death rate is higher than is usually believed by many. It is still too early to know how many boars will leave the forest this year in the absence of hunting, but we don't doubt that some will. These boar will ultimately be shot and probably sold for meat. Could this be fair compensation for crop damage? Many countries believe so and operate this system. 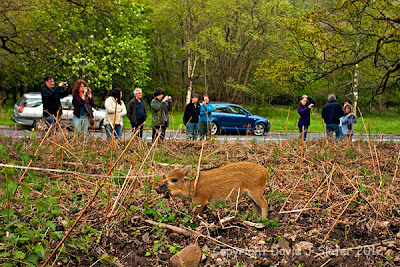 Baby boar have overtaken celebrities and landscapes to be on the cover of the new Visitor Guide to the Forest of Dean. Two hoglets, playing in the leaves, by Ben Locke take pride of place and the new guide makes it clear that the boar are a unique tourist bonus for the Forest. In addition, Friends of the Boar have received a letter from Forestry Commission England in Bristol which makes it clear that the reprieve for the boar is specifically designed to allow the Council sufficient time to review the target of 90 animals and to make any new recommendations and changes they want. The new approach by the Forestry Commission is to be welcomed but since the Friends of the Boar believe that the Wild Boar in the Forest have been much depleted by Forestry Commission shooting, we hope that the Council will upwardly revise the number of boar allowed in the Forest by a significant amount. The Friends of the Boar welcome the reprieve from culling given to our Wild Boar over the summer by the Forestry Commission at the meeting on 17th January 2012 between Councillors, the Forestry Commission and Friends of the Boar. This will allow our existing boar to breed and settle. We do however believe that it will take several years to allow the herd to recover from the culling they have been subjected to. We are extremely grateful to Councillors Hale, Edwards and Quale and to the Council Environmental Officer for their concern for the boar. We think that their decision to consult with Verderers and possibly the public again and hopefully to upgrade considerably the number of boar allowed in the Forest, is a very positive one. We do consider that the numbers of boar in the Forest have been considerably depleted by the Forestry Commission cull and that the Forestry Commission are still far over-estimating boar numbers. They have now conceded to the Council that there will be a period this summer when no cull will take place (until September) and that they will hold a public symposium on Wild Boar to discuss the future of the species in the Forest. They intend to invite experts and interested parties, including ourselves we hope. During the summer we intend to continue convincing the people of the Forest that the boar do good and to build on what those ambassadors for their species, the Beechenhurst Six (as the celebrity black sow and her piglets are now known) have already done. They have attracted a great deal of public interest and shown that Wild Boar are interesting, friendly and non-aggressive to people, if they are not threatened. Though the twelve-month reprieve is a considerable achievement, we are not complacent. We hope that the Forestry Commission will allow recovery within the herd. In fact, the Forest will naturally only take a certain number of boar. We do appreciate that some boar will still continue to move from the Forest onto farmland on the periphery, a situation we hope will be discussed at the Council meetings in the future. We are pleased to let everyone know that 2012 is going to be a good year for the wild boar here in the Forest of Dean. A meeting on January 17th 2012 between the Forest of Dean District Council, the Forestry Commission, and Friends of the Boar led to a groundbreaking agreement that there will effectively be a closed season on wild boar culling in 2012. We are obviously delighted with this outcome and give full credit to Kevin Stannard of the Forestry Commission, who proposed the move after much reasoned and friendly debate. His decision to give a closed-season an experimental go is despite his recently adopted Boar Management Plan for 2012, and agreed to by the Verderers, to actually increase the cull target for 2012. It is the Forestry Commission's firm opinion there are now 400-450 wild boar present as of 17th January 2012, even despite a recent cull of 153 boars! Culling will now commence in September, giving the wild boar and their piglets every opportunity to prove to us all this summer that they are a welcome addition to this forest. 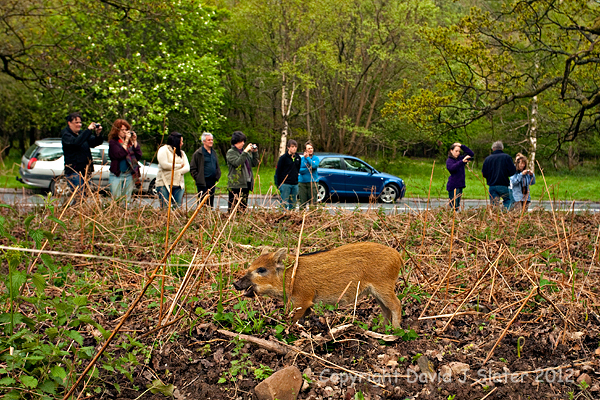 The public and also the Forestry Commission cease feeding the boar (as this promotes unnatural breeding success as well as unwelcome tameness and an increased traffic hazard). Please all help to persuade anyone who feeds the boar to stop and help in this experiment. The former hope is being promoted by the Council, who hope to engage in an education campaign as well as formulating a community task force aimed solely at wild boar and the community. What is uncertain is the effect of the culling throughout the previous year or two. If our worst suspicions come true (already publicly presented in the press and on this blog regarding a prediction of an unnatural excess of piglets in 2012 created by compensatory rebound effect, and increased number of tame boar as a byproduct), then this year is going to be a rough ride for all concerned. When an animals' population has been distorted as we fear, it may take longer than one season for it to return to a natural state. Scientific studies have shown that culling in the autumn and winter creates a more healthy and sustainable population - and a major reason why there is a closed-seasons for all other game species - it is not just about animal welfare and the shocking thoughts about piglets being harmed. We have not taken kindly to press articles claiming we are calling for a closed-season to help the population "flourish"! A closed-season should hopefully alleviate a "flourishing" of numbers (given time and the bravery of the community in supporting this change of management strategy), at the same time as bringing less stress and greater health to the boar that survive. This is sound and sustainable game management. Now if this isn't enough to say cheers to the Forestry Commission, Kevin Stannard is also hoping to co-ordinate a locally-based Symposium of lectures involving wild boar researchers and the community (including Friends of the Boar we assume). We hope this to take place in September, just prior to the cull-season. This is a huge opportunity for all to get more informed about wild boar and hear opinions and scientific findings from both sides of the debate (well, there are more than 2 sides to this debate actually!) The Council are kindly hoping to help fund the cost of this Symposium. What makes this all particularly special is the fact that Wild Boar are not just another animal, even though it may appear as such by the general public. For more than 500 years, hunters as well as conservationists have been saddened by the loss of many of our ancient and indigenous forest animals. With increasing environmental awareness over recent decades, the missing species have weighed heavily and sadly upon our psyche. In more recent times there has been huge hopes in the re-introduction of some of these controversial creatures, beginning with beaver which has been realised in a small area of Scotland. Most people know of the desires of conservationists to re-introduce wolves, but hopes also lie with lynx, elk, auroch (or wild cow), pine marten and wild boar. They are all controversial in their own ways and it has never really been seen as a project with any real hopes of fruition. The "accidental" reintroduction of wild boar into the UK over the last 20 years has been a joy to observe by many, a re-introduction that had already been hotly debated with fears of public outcry, or of huge cash injections required to monitor etc. Wild Boar have done the job all by themselves, and despite the cultural hang-ups over these animals, traditionally symbolised as aggressive and a great hunting prize, we have witnessed a more amicable and useful side to these animals. They have in effect dispelled all by themselves the fear and propaganda that has for far too long be aimed at them. If only we can train people to see boar diggings as a healthy sign of wildlife presence and a working, real-time process of engineering our forest back into a healthy more natural state full of flowers, ferns and food for insects, with less bracken! Conservationists, wildlife enthusiasts, hunters, farmers and politicians from across the UK and even Europe, will soon be focusing their attentions, hopes as well as some fears upon the Forest of Dean this year. This is a truly special place. Alistair Chapman, Forest of Dean Council Environment Group.